The teller realize the bank was being robbed, and believed that Decorah had a gun in his right hand in the jacket. The teller removed money from the drawer and placed the money on the counter. Decorah removed the money from the counter, but left behind $10, $5, and $1 denomination currency. The teller also put mutilated money on the counter which Decorah took away. After removing the money from the counter, Decorah exited the bank to the parking lot. The teller lost sight of him. A bank manager saw him enter the rear driver’s side door of a white car. 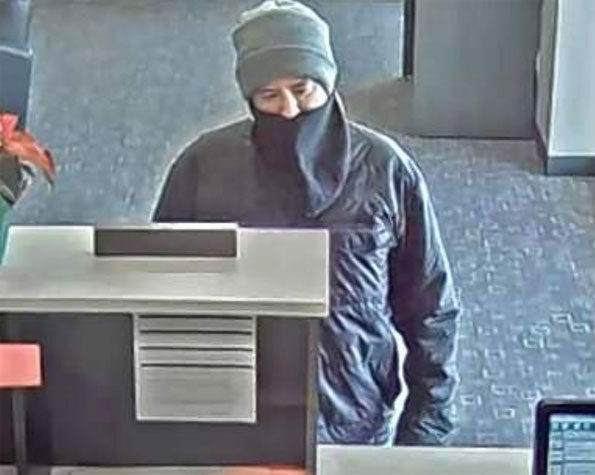 Rolling Meadows bank robbery Saturday February 9, 2019. One of the employees recognized DeCorah as a customer for the past six months and had seen him 10 to 20 times, spoken to him on the phone, and he even opened his bank account. He noted that Decorah had a distinct crooked nose and while the subject kept trying to pull the face covering over his nose, the bank employee could see his crooked nose and recognized Decorah. That employee later identified Decorah in a photo lineup as the robber. The teller that was robbed also identified Decorah as the robber in a photo lineup. A police check of local red light cameras near the bank, located a white in color Hyundai traveling westbound on Kirchoff Road and Rohlwing Road and a rideshare sticker in the rear window in the upper right side. A person wearing a dark colored hat in the rear driver seat was also spotted from the image. The license plate of the vehicle was also readable from the red light camera. Employees at the bank had seen Decorah enter the rear driver side door. In a short time police were able to track down the driver of the white Hyundai. Police learned that the driver drives for the ridesharing service Lyft. The Lyft driver picked up Decorah in Palatine. 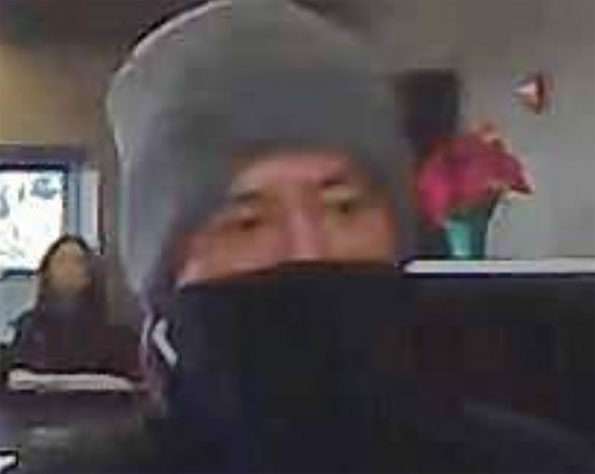 The suspect initially said he wanted to go to O’Hare International Airport, but then added a new destination of the Ben Franklin bank in Rolling Meadows. After coming out of the bank the suspect asked if the driver knew of any Chase bank facilities on the way to the airport, but the ridesharing driver said no. The ridesharing driver dropped off the suspect at Gate 3 or Gate 4, United Airlines Terminal 1. The ridesharing driver was also able to identify the passenger as DeCorah. Rolling Meadows officials contacted Chicago police with information regarding the bank robbery investigation, and about 2:10 PM Decorah was located by Chicago police at O’Hare International Airport and taken into custody. He was wearing the same clothing that he was wearing at the bank robbery. DeCorah possessed approximately $4665 on his person, which included a $100 denomination bill with a known serial number and a handwritten date with initials written by one of the bank employees. During an interview by the FBI — after DeCorah was again provided his Miranda warning that he stated he understood — DeCorah admitted he was the subject who robbed the Ben Franklin Bank. He admitted writing the demand note in the morning of the robbery which included language that he had a gun. He admitted that he called Lyft and requested that he be dropped off at the Ben Franklin Bank. He admitted going to O’Hare, and he also admitted that he had taken a photo of the money, that he had taken from the bank, in order to send the photo to a friend.